HORSE PROPERTY! 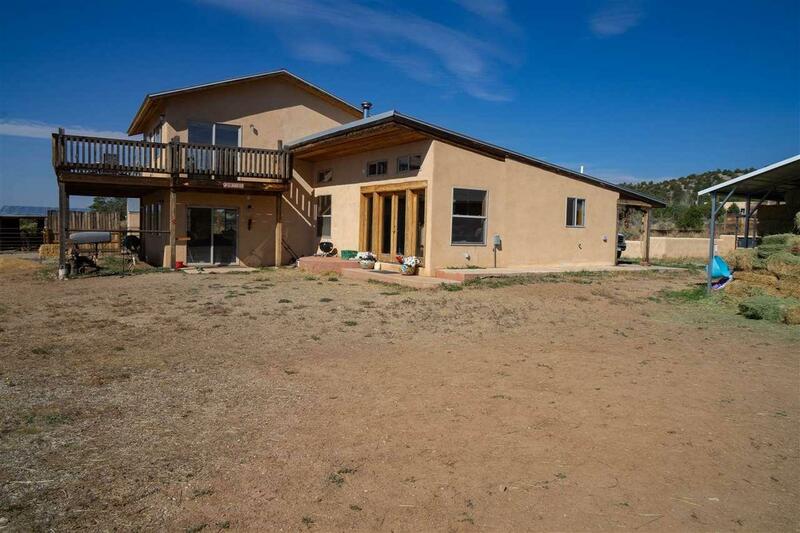 Comfortable 3 bedroom/2.5 bath main home + 1BR/1BA casita, on 2.9 acres with serious horse facilities: 10 stalls with individually fenced turn-out areas; 20' x 60' regulation-size dressage arena; 60-foot round pen for training; 2 hay storages (each holds 500-600 bales). US National Forest is about 1/4 mile away --no need to trailer the horses to go riding. 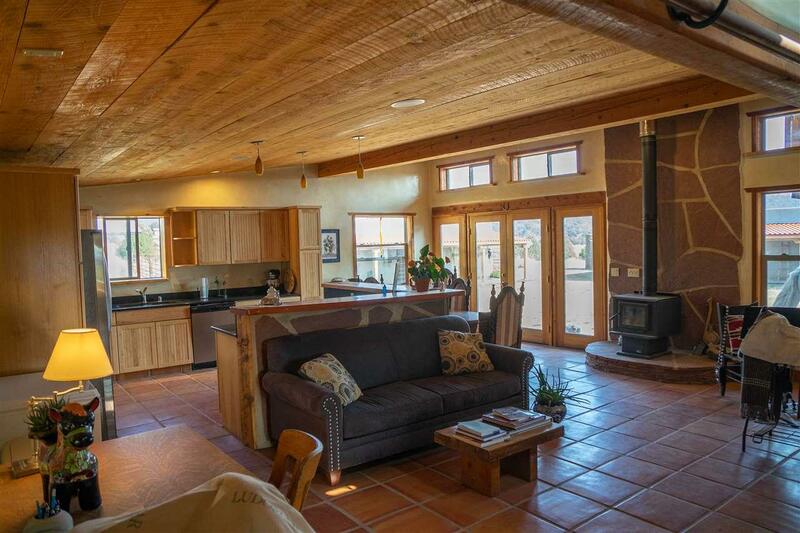 The main house features a nice kitchen that is open to the living room. A wood stove adds cozy ambiance, and helps keep energy bills low. The large master suite upstairs has lots of windows with great views and good passive solar warmth, and a deck on three sides. The second bedroom is large, with its own bath. The third bedroom has an adjacent half-bath. There is an additional small office space. Circular drive, good for horse trailers, with gates on both ends. Remodeled 750-sq. ft. 1-bedroom casita provides guest quarters and/or rental income.